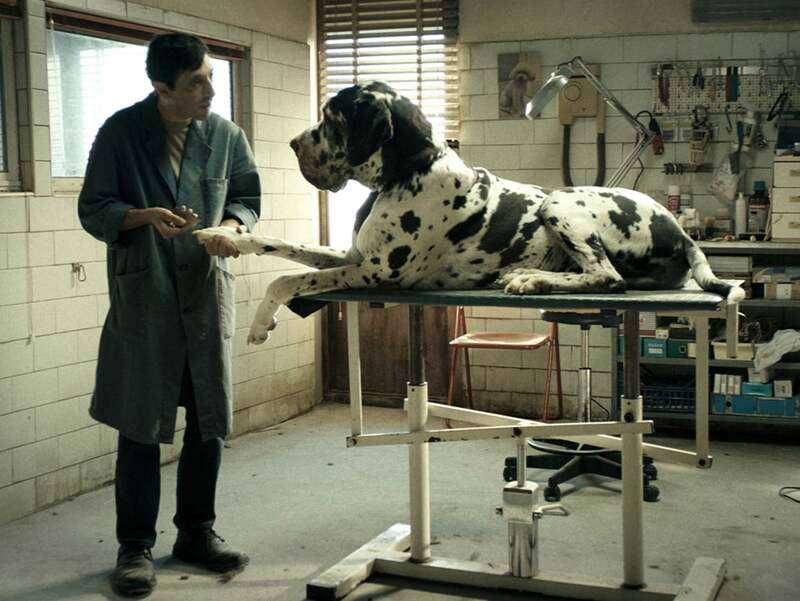 Dogman, Matteo Garrone’s latest film, competed in this year’s Cannes festival – and deservedly so. With this work, the Italian director returns to the dark atmospheres and locales of his Golden Globe-nominated Gomorrah (2009) and gives a huge heart to this dark Italian western, which is also an engaging character study of a very troubled man and the people who take advantage of his kindness. The main character, Marcello, is a dog groomer who has to make extra money selling cocaine to finance his daughter’s expensive holidays. He has an abusive and toxic relationship with one of his customers, Simone, who takes advantage of him throughout the film. Simone is a thuggish, small-time criminal who ropes Marcello into a robbery and several nights of debauchery. Frail and shy, Marcello looks up to the swaggering hoodlum but the relationship is certainly not reciprocal with Simone simply exploiting his underling. Marcello is eventually pushed beyond any reasonable measure by the abuse and throughout the film – we are cheering for him to stand up to the bully. Marcello is beautifully played by Marcello Fonte. This actors face gives us more information than any dialogue ever could. His emotions are laid out for us to savor with every obstacle he has to overcome. Marcello works in his shop with caged dogs, but it is apparent that it is he who is truly psychologically imprisoned. One can’t help but feel for him and his troubles. Yet, the film is much greater than a simple man’s story, which is ultimately the appeal of a story that transcends any specific aesthetic and becomes something much more universal. Garrone weaves a beautiful tale on the stunning backdrop of a sleepy beach community (a location near Naples already seen in Gomorrah) but in this film, the brightest light is, without a doubt, Marcello. The fact that he is a dog groomer and so caring with the animals, makes this shell of man instantly likable against all odds. The supporting cast of rough Italian blue-collar characters with their rough accents and intonations solidly grounds the story, and it becomes fascinating to see them vocalize their grievances and joys throughout the film. The cinematography and direction shine soulful beauty on the dark abusive subject matter, the brutality effectively juxtaposed with Marcello’s soulful eyes in one of Garrone’s best works to date.